Check out our current talk series, listen in online to a couple of talks or see some of our talks from the past. Join us to hear Jesus’ words for yourself. They are more wonderful, more inspiring, more radical and more challenging than we know. Sundays 9:30am, 19 Cripps Street, Salisbury. Sunday 5th May - Hypocrisy, Jesus hates it. The apostle John writes a letter to God’s people. It is a bold letter, a clear letter and a searching letter. It challenges God’s people to walk in the light. For God himself is light and in him there is no darkness. So, how could his people walk in darkness? John’s letter also helps us see that walking in the light is possible. A new life, a different life, a changed life is possible because of Jesus. If you’re looking for change and transformation join us. Join us over the summer of 2018-2019 to be challenged and encouraged to walk in the light because of all that Jesus has done. Jesus loves his church. The church is his. That is why he loves it with such a fierce love. It is also why he will change his church and even end his own church if it refuses to hold to him alone. 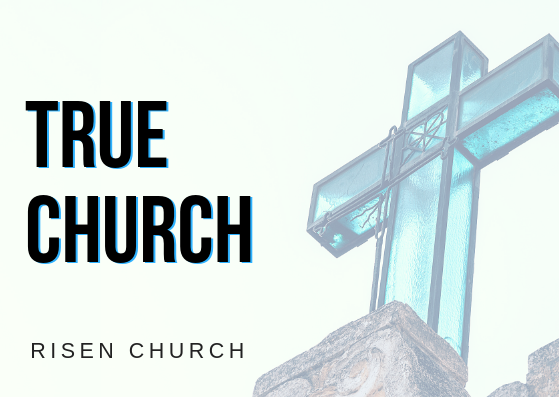 Jesus loves his church and he wants each church to be a true church. Join us for this short series from the book of Revelation as Jesus speaks to his 7 Churches. God makes extraordinary promises throughout the Bible. Promises of love, protection, peace and salvation. He even promises himself to us in Jesus Christ. Join us as we discover the promises of God in the Old Testament of the Bible. Promises fulfilled in Jesus Christ. Most of us have a picture of Jesus in our minds. But did you know Jesus was accused of partying too hard? Join us to meet the Jesus you never knew with speaker Sam Chan. Wednesday 29th August, 7:30pm, free. Like to know some more about Sam Chan? Have you found grace? Has undeserved mercy found you? We are searching for acceptance. We are hoping to be good enough. But we never seem to find the acceptance we want and we never seem to be good enough. That's why we need to discover grace. 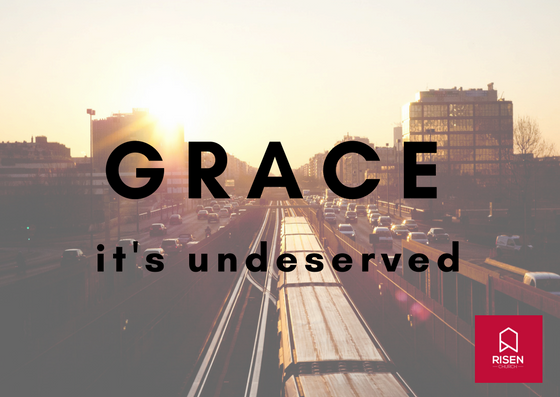 Grace is undeserved mercy from God. Our series from the book of Ephesians starting on Sunday 17th June will explore God's extraordinary grace which answers our hearts desire for acceptance and shows how God makes us good enough through Jesus. Life With God: Good, Different. Life with God is really good. But it is different. It gives you a different way of thinking about your life and the lives of those around you. This different way of thinking and living turns out to be really good. Join us to see discover a different perspective on life. One that is good and different. We'll explore the topics below. We'd love for you to join us. Sunday 15th April, Family: is blood thicker than water? Sunday 20th May, Ambition: is there anything wrong with wanting to be great? Sunday 27th May, Fame: being famous will make me happy...right? Sunday 3rd June, Money: a gift or a curse? Sunday 10th June, Work & Study: are these really part of God's good plan? Our world isn't the way it ought to be. Evil flourishes and death reigns. And this is why Jesus came. His life was a rescue mission for a dying world. 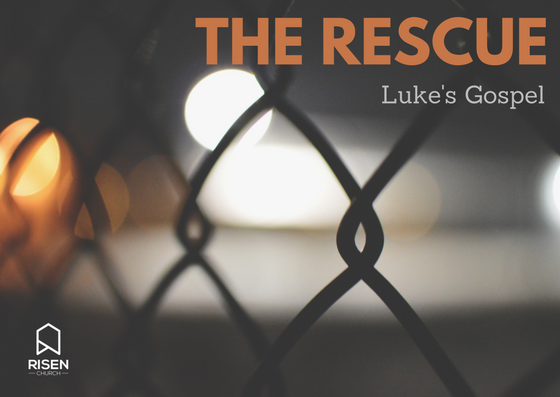 Join us to discover the rescue from Luke's gospel. Some things really matter. They are ripples in our lives. If we get the things that matter right they ripple out transforming our lives and the lives of those around us. This series explores some of the things that matter to Risen Church and ripple out into our lives. God is at work in the world. But he doesn't always work in the way we'd expect. He uses weak people when we'd use powerful people. He uses unimpressive methods when we'd use impressive methods. We are tempted to ask why would God be so stupid? But if we look closely enough we discover that God is wiser than us all. He is a surprising and powerful God. Sunday 24th September What? Weak people are part of God's plan? Sunday 1st October What? God loves those who wish him dead? Join us to find out what it means to experience God. We'll delve into the Psalms and see the writers' experience of God. They experienced God in the greatest of joys and the greatest of hardships. Join us to discover, know and experience God. Join us to be changed by God. The great news about Jesus transforms people. But not just people, it transforms whole communities. In this series we'll be digging into Paul's letter to the Philippians and we'll see how the great news of Jesus transformed them and how it should transform us. Jesus said he was the light of the world. Join us to consider his claims and his life. Jesus claimed to the light of word. He claimed to light, life, bread and wine - the things that are the very essence of life. We'll be exploring Jesus and his claims from John's gospel - his biography about Jesus. Is believing in yourself enough? A great night to connect with the campus and Brisbane Southside community. We'll explore the idea of believing in yourself. It sounds right - just believe in yourself - it sounds positive. But is self belief enough when it comes to living life? And what about when it comes to God? What are the consequences of self reliance? We'll start with a talk and then kick onto a discussion and a meal together. A great night to connect with the campus and Southside community. We'll explore both Karma and Grace and see the implications for our lives. We'll start with a talk and then kick onto a discussion and bbq.